From the fast-paced nightlife of Bangkok to a slow boat along the Mekong, this trip brings you the best of Southeast Asia on a shoestring. 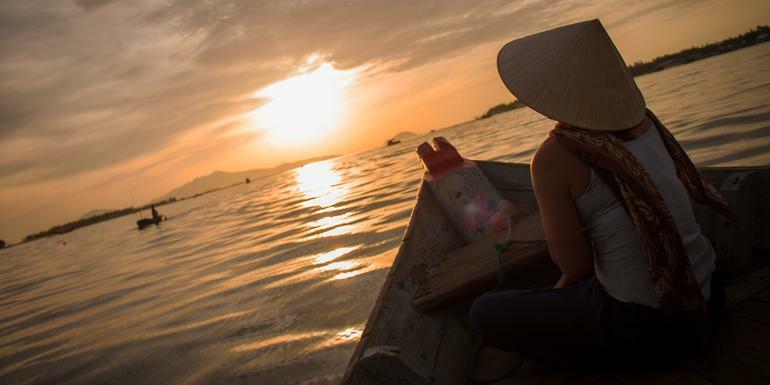 You’ll party along the beautiful bay of Vietnam’s Nha Trang in the company of like-minded travellers and channel the French vibe sipping coffee in riverside cafés in Laos. Explore golden temples or hunt down treasures in local markets-the choice is all yours. Best of all, your CEO will take the hassle out of planning, so you’re free to soak up the spirit of this amazing region. The capital city and seat of government sits on a bend in the Mekong River amidst fertile alluvial plains. Despite its chequered past, Vientiane (pronounced ‘Wieng Chan’ by the locals) is a laid-back city with a number of interesting wats and lively markets. The most important national monument in Laos is Pha That Luang (the Great Sacred Stupa), which is a symbol of both Buddhism and Lao sovereignty. Other sights of interest include Wat Pha Kaew, a former royal temple which is now a museum; Wat Si Saket, the oldest temple in Vientiane; and the Morning Market, a sprawling collection of stalls which operate from 6 am to 6 pm. Wat Xieng Khuan is a collection of compelling Buddhist and Hindu sculptures located in a meadow, 24km (15mi) south of Vientiane. good Lao meals, try the Dong Palan Night Market on the east bank of the Nong Chan ponds. Vientiane is not the illicit entertainment palace it was in the early 1970s: brothels are now prohibited, the marijuana stands have disappeared from the markets and beer has replaced opium as the nightly drug of choice. Entertainment ranges from live music and discos – usually electrified Lao folk music or Western pop – to Thai, Chinese, Indian and even Bulgarian films. Tribal crafts, fabrics, jewellery and furniture are all good buys in Vientiane.